Called up to compete for his hometown Nepean Raiders at the 1980 Air Canada Cup, Steve Yzerman made his debut on the national stage at Canada’s National Midget Championship, helping the Raiders to a top-five finish, although they lost out on a semifinal spot on a tiebreaker. 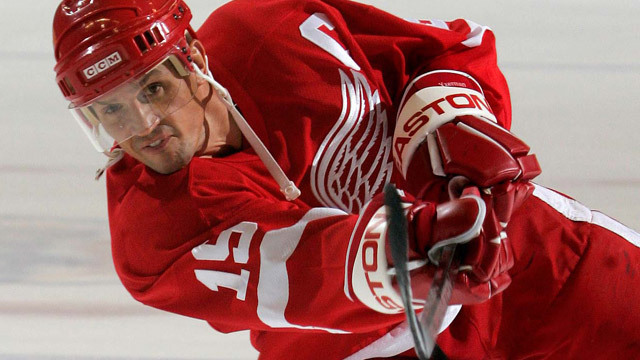 After two seasons with the OHL’s Peterborough Petes, Yzerman was selected fourth overall by Detroit in the 1983 NHL Draft and immediately joined the Red Wings’ line-up, scoring 87 points in 80 games as an 18-year-old rookie. By 1986 Yzerman was Detroit’s captain, a role he filled for the next 19 seasons. He spent 1,303 games with the ‘C’ on his chest, a record for any of the four major professional sports. In 1988-89, Yzerman recorded 155 points, the highest total in NHL history by someone not named Gretzky or Lemieux, and won the Lester B. Pearson as the NHL’s valuable player, as voted by the players. After 14 seasons, he finally reached the pinnacle of the sport in 1997, leading the Red Wings to the Stanley Cup, something he did twice more during his career, in 1998 and 2002. Yzerman retired following the 2005-06 season, and ended his career ranked in the top 10 in goals (eighth), assists (seventh) and points (sixth) in NHL history. Inducted into the Hockey Hall of Fame in his first year of eligibility in 2009, Yzerman stepped into a management role with Team Canada in 2010, serving as executive director (a position he’ll fill again in 2014) and leading Canada to a gold medal on home ice at the Olympic Winter Games in Vancouver. No Central Region team has made more appearances at Canada’s National Midget Championship that Sault Ste. Marie, and the inaugural trip came in 1980, when the Soo Legion, led by Ron Francis, finished sixth in Cornwall, Ont., posting a 3-2 record and missing out on a semifinal berth in a DC8 Flight tiebreaker. Francis remained in his hometown to play junior hockey, spending parts of two seasons with the OHL’s Sault Ste. Marie Greyhounds before making the jump to the NHL with Hartford early in the 1981-82 season after the Whalers selected him fourth overall in 1981. 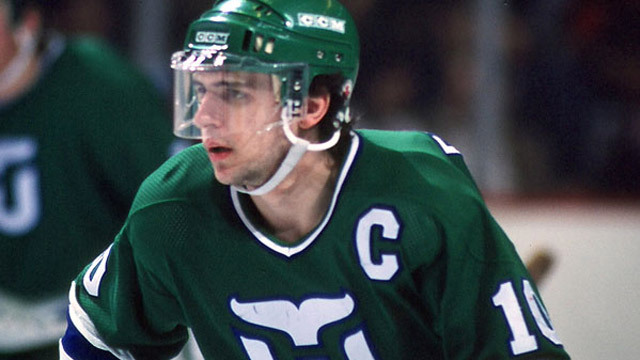 Francis played close to 10 seasons with the Whalers, serving as captain for almost six and setting nearly every offensive record in franchise history. Traded to Pittsburgh at the trade deadline in 1991, Francis won his first Stanley Cup with the Penguins that spring, and added a second title the following season. He signed with Carolina, which had relocated from Hartford, in 1998, captaining the Hurricanes to their first Stanley Cup appearance in 2002. Francis played 12 games with Toronto at the end of the 2003-04 season before retiring, finishing his career second all-time in career assists behind Wayne Gretzky with 1,249, fourth in career points (1,798) and third in games played (1,731). He was a three-time winner of the Lady Byng Memorial Trophy as the NHL’s most gentlemanly player, and was inducted into the Hockey Hall of Fame in 2007. The first British Columbia team to win its way to Canada’s National Midget Championship under the six-team regional format introduced two years prior, the Burnaby Hawks, including a 16-year-old Joe Sakic, went 1-4 in the preliminary round in Moncton, N.B., missing out on the semifinals. A two-year star with the WHL’s Swift Current Broncos, Sakic posted seasons of 133 and 160 points and was named Canadian Major Junior Player of the Year in 1987-88. Selected 15th overall by Quebec in the 1987 NHL Entry Draft, Sakic joined the Nordiques in 1988-89, reaching the 100-point plateau in his second and third seasons and taking over as full-time captain in 1992, a role he would hold until his retirement 17 years later. Sakic spent his entire 20-year NHL career with the Quebec/Colorado franchise, holding almost every major offensive record. 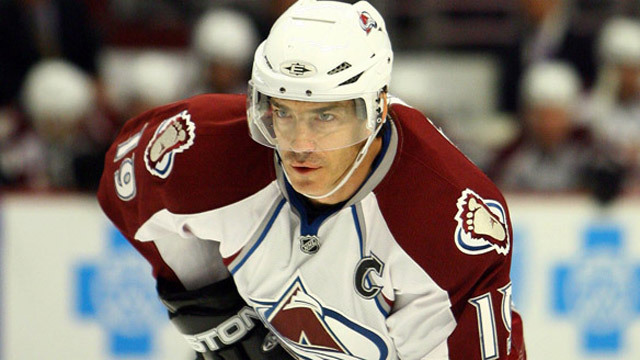 He twice captained the Avalanche to the Stanley Cup, in 1996, their first season after moving from Quebec, and 2001, and was the Hart Trophy winner as NHL MVP in 2000-01. He retired following the 2008-09 season at No. 8 on the all-time scoring list, and is one of just 18 players in NHL history to score 600 goals. Sakic was inducted into the Hockey Hall of Fame in 2012, in his first year of eligibility. Internationally, he is one of just 22 members of the IIHF Triple Gold Club, which includes players who have won the Stanley Cup, an Olympic gold medal and an IIHF World Championship gold medal. National champions in 1978 and 1979, the Gouverneurs de Ste-Foy almost made it three gold medals in five years, reaching the gold medal game at the 1982 Air Canada Cup in Victoria, B.C., behind goaltender Patrick Roy, only to fall short in the final, dropping a 3-1 decision to the Burnaby Winter Club Travellers. Roy played three seasons with the QMJHL’s Granby Bisons, never finishing above .500, and was a third-round selection of Montreal in the 1984 NHL Entry Draft. After making his NHL debut with the Canadiens late in the 1984-85 season, Roy helped the AHL’s Sherbrooke Canadiens to a Calder Cup championship, joining the Habs full time in 1985-86, earning a spot on the NHL All-Rookie Team. That spring, he backstopped Montreal to an unexpected Stanley Cup, winning the Conn Smythe Trophy as playoff MVP. A second Stanley Cup and Conn Smythe Trophy followed in 1993 before Roy was traded to Colorado in December 1995, helping the Avalanche win the Stanley Cup in their first season after moving from Quebec. An 11-time NHL All-Star, Roy added a fourth Stanley Cup and third Conn Smythe Trophy to his résumé in 2001, becoming the only player to be named playoff MVP three times. He retired following the 2002-03 season as the winningest goaltender in NHL history, had his No. 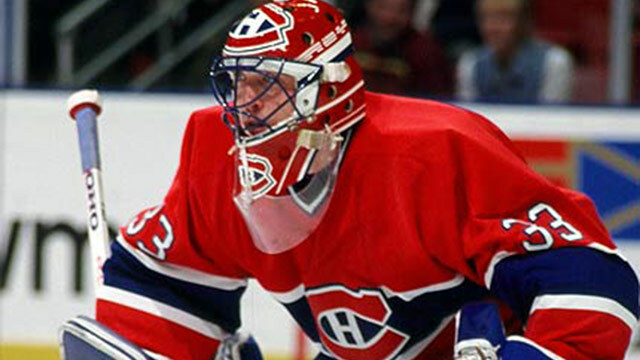 33 retired by both the Canadiens and Avalanche and was inducted into the Hockey Hall of Fame in 2006. As a 14-year-old at the 2002 Air Canada Cup, Sidney Crosby turned the National Midget Championship into his personal playground, scoring 24 points (11 goals, 13 assists) in seven games, winning the MVP and Top Scorer awards and leading his Dartmouth Subways to the first gold medal game appearance by an Atlantic team in tournament history, although they lost 6-2 to Tisdale. The national championship was just the start for Crosby, who two years later joined the QMJHL’s Rimouski Oceanic and posted seasons of 135 and 168 points, helping the Oceanic to the Memorial Cup final in 2005 and winning earning the CHL Player of the Year award in both of his Major Junior seasons. The first-overall pick by Pittsburgh in the 2005 NHL Entry Draft, Crosby quickly turned the Penguins into contenders, reaching the Stanley Cup Final in his third season and hoisting Lord Stanley’s chalice in 2009, the youngest captain in NHL history to do so. 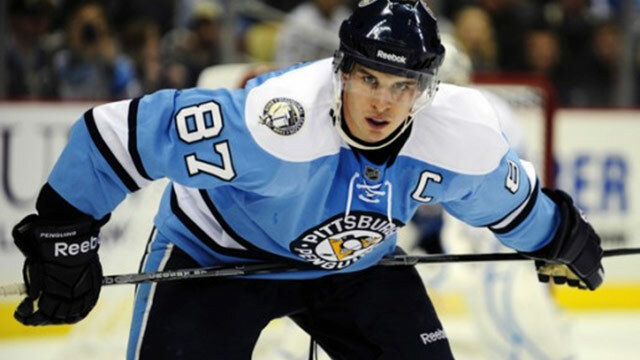 In his first five NHL campaigns, Crosby reached the 100-point plateau four times, winning the Art Ross Trophy as NHL scoring champion and Hart Trophy as NHL MVP in 2006-07, and claiming his first Rocket Richard Trophy in 2009-10 when he hit the 50-goal plateau for the first time. Of course, Crosby permanently sealed his place in Canadian hockey history on February 28, 2010, when he scored the overtime winner for Canada in the gold medal game at the Olympic Winter Games in Vancouver.